Do you want to reach a bigger audience, but don’t speak their language? Weglot translates your websites (and forms!) within minutes, automatically. What is Gutenberg? What is a block? Learn how to use Gutenberg, the new editor in WordPress 5.0. Get to know blocks, customizable columns, and much more! We answered the frequently-asked question about Gutenberg and WordPress 5.0, “What about my shortcodes?”. Learn how to convert your shortcode into a block in this step-by-step guide. Plus free examples! Have you utilized Google Analytics to measure traffic and performance of your site? It’s useful, but only if you understand how to use it. 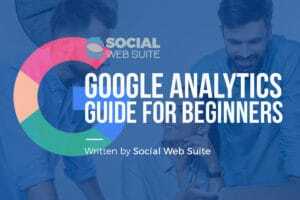 Here’s what you should know about Google Analytics. Ever wondered how to turn your form submissions into actual WordPress content? Learn how to do that (and present your submissions in a table) in this tutorial post! Do you want to reach potential customers on the other side of the world? Then you’ll need to translate your whole site (and your forms) into their languages. Learn how to do it easily on your WordPress site by using translation plugins. Your website speed is becoming more important than ever before. What should you do to make your website loads faster? We cover practical tips on how to optimize website speed in this post. Follow these 10 steps to start selling on WooCommerce. From setting up your online store to optimizing it, we’ll guide you to do all that in this post.